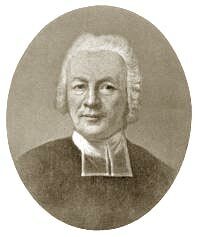 German theologian and philologist. He studied in Wittenberg and Leipzig; in the latter he afterwards held the chairs of classic philology, rhetoric and theology. He worked together with Gesner and Baumgarten. Author of several editions of Greek and Latin Classics (Xenophon, Cicero, Suetonius, Tacitus, Aristophanes, Homer, Callimachus, Horace), he continued Johann Albert Fabricius’s project of the Bibliotheca Latina. Main works: Antimuratorius sive confutatio disputationis Muratorianae de rebus liturgicis (Lipsiae 1755-1758); Neue theologische Bibliothek, I-X (Lipsiae 1760-1769); Institutio Interpretis Novi Testamenti (Lipsiae 1761); Opuscula oratoria (Lipsiae 1762); Opuscula philologica et critica (Lipsiae 1764); Opuscula theologica (Lipsiae 1773). Bibliography: J.E. Sandys, History of Classical Scholarship, 3 vol., Cambridge, Cambridge University Press 1900-1908. Catalogus librorum D. Io. Augusti Ernesti, Lipsiae 1782, 388 p.
The catalogue, drawn up at Ernesti’s death, contains 1599 titles, divided into 17 main classes: Libri Theologici; Libri Iuridici ad ius utriumque pertinentes et medici; Grammatici et Lexicographici; Auctores Classici Graeci; Auctores Classici Latini; Opera, Philologi, Critici; Rhetorici, Oratores, Epistolographi; Libri Antiquarii; Philosophi, Mathematici, Astronomi et Physici; Geographici, Itinerari; Chronologi et Diplomatici; Historia Civilis; Historia Ecclesiastica; Historia Literariae Scriptores; Miscellanei et Omissi; Rohe Bucher; Scripta Varia. Only some of the categories are further subdivided by topic; the other categories are simply indicated by format In Folio, In Quarto, etc. There are no indices or tables of content.